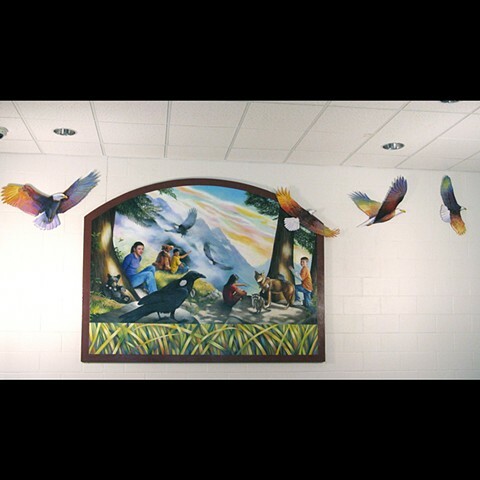 This project consists of two murals, each 6' high by approximately 15' long. 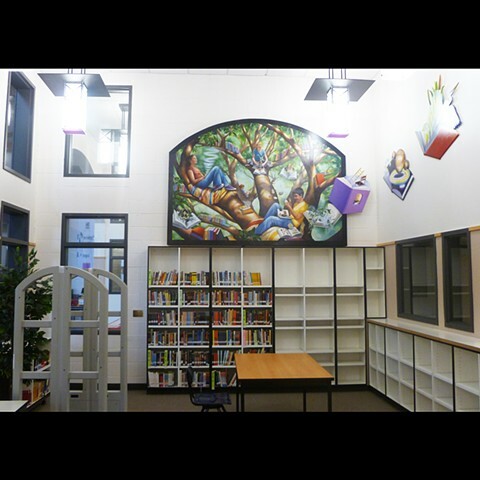 "Branching Out" is located in the reading nook of the school library. 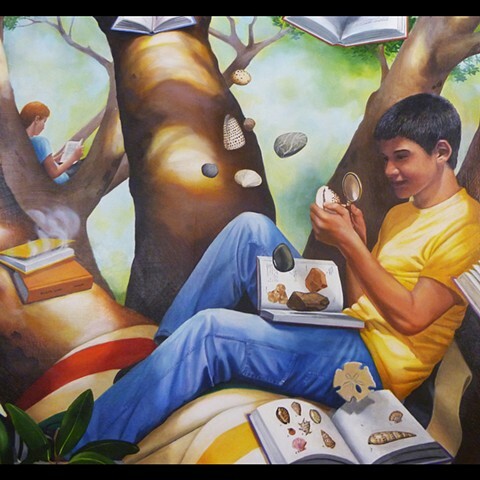 It creates the feeling of being in a giant tree full of magical books. 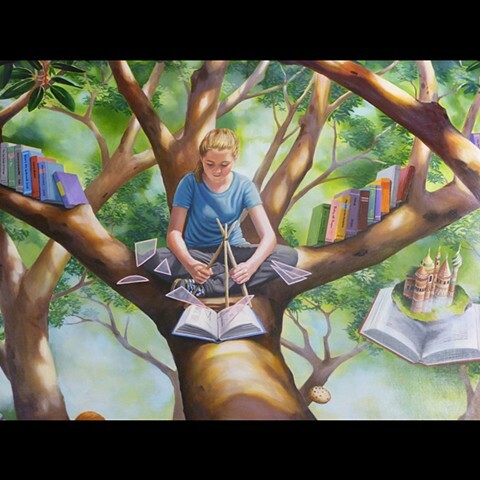 The tree represents ever-branching knowledge, and the opening books reveal the many new worlds one discovers through reading. 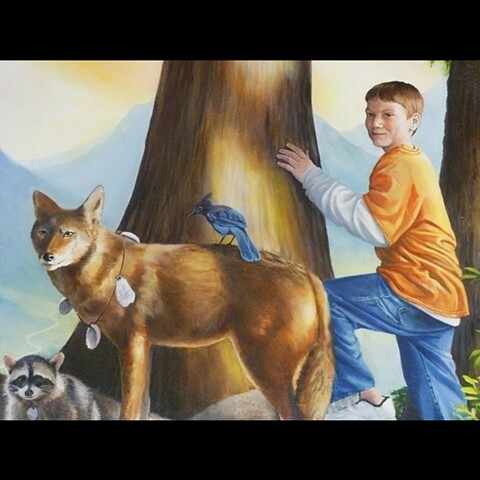 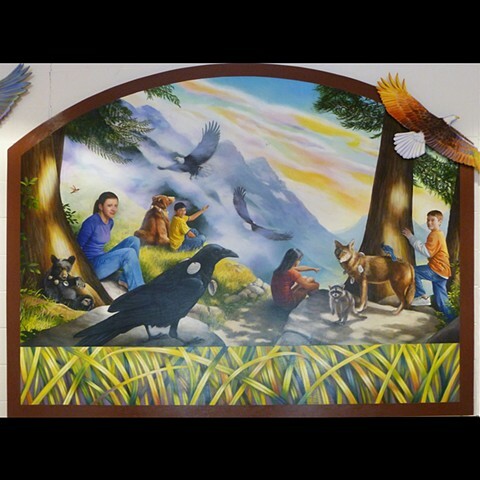 The second mural, "Passage" greets students in the bus entry lobby and presents the idea of middle school as a journey of exploration, aided by mythical animals drawn from local Native American myths.